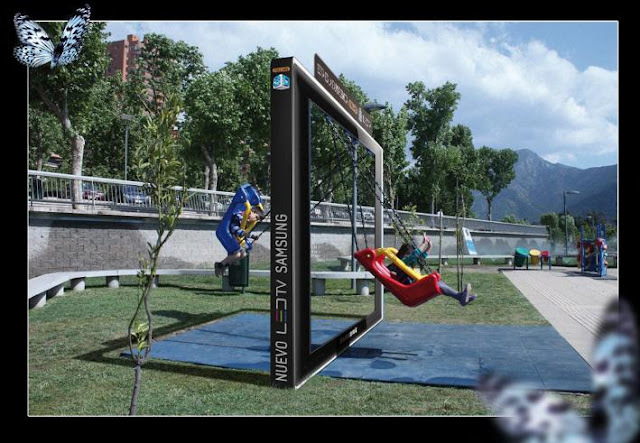 The new Samsung 3D Full HD TV's, give you an image so real that the stuff come out the screen and make you feel on new dimension. Idea: They build a frame, which simulates television 3D full HD Samsung. 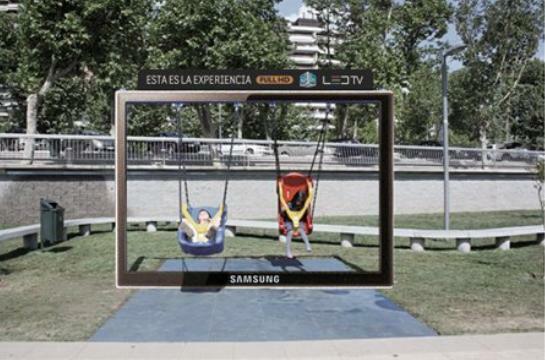 This structure was set on a couple infant swing seats on some city parks When they swing, the structure gave the sensation of a 3D image coming out of the screen.